Tyler Lewington is on his way back to the minors after making his NHL debut last night, CapFriendly reports. The 24-year-old defenseman made his presence felt for the Washington Capitals last night, contributing four hits and a positive rating in his first big league appearance. Lewington has worked his way up from a seventh-round draft pick and ECHL cast-off to back-to-back strong seasons with the AHL’s Hersey Bears and now an NHLer. Yet, with the break upcoming, the Caps will send Lewington back down simply to shave off a small amount of salary cap expenditure. The Colorado Avalanche are moving substantially more salary cap contribution, as recent call-ups Pavel Francouz, A.J. Greer, and Anton Lindholm have all been reassigned to the AHL’s Colorado Eagles, per CapFriendly. Francouz, a free agent import from the Czech Republic, looked stellar in his NHL debut last night, making 21 saves on 22 shots in relief of Philipp Grubauer. However, behind Grubauer and starter Semyon Varlamov, Francouz is not guaranteed any more play time this season barring injury, even if the veteran keeper is deserving. Greer and Lindholm are no strangers to the Colorado lineup, but join Francouz back in the minors over the break. After several teases of NHL action, Trevor Moore is finally getting his chance. The Toronto Maple Leafs prospect has been recalled on an emergency basis per a team release and will fill in for the injured Tyler Ennis. The University of Denver standout has been very productive in three pro seasons with the AHL’s Toronto Marlies, especially so far this year, and has earned a shot with the Leafs. The San Jose Sharks announced they have recalled center Rourke Chartier from the San Jose Barracuda of the AHL. The 22-year-old was sent down Saturday morning to get some work in with the Barracuda as he contributed an assist in the Barracudas’ win. He has played 13 games for the Sharks, posting one goal this season. Avalanche forward Vladislav Kamenev has suffered a shoulder injury that requires surgery, reports A.J. Haefele of BSN Denver (Twitter link). He’s listed as out indefinitely but Haefele adds that the procedure could keep him out for the rest of the season. The team announced (via Twitter) that winger A.J. Greer has been recalled to take Kamenev’s place on the roster. The 22-year-old hasn’t had much good luck when it comes to injuries as of late. Last season, he sustained a broken arm in his Colorado debut last season that cost him the better part of four months. He then had a leg issue at the start of training camp that delayed the start of his campaign and resulted in him going to the AHL for a brief rehab stint. This season, Kamenev has played in 23 games predominantly on Colorado’s fourth line, collecting two goals along with three assists while averaging 9:02 per night. He’s slated to become a restricted free agent without arbitration rights this summer with a qualifying offer of just over $874K. Even though he has missed most of his time since being acquired due to injuries, it’s likely that the Avs will tender him an offer this summer given how they valued him in the Matt Duchene trade last season. However, if they feel he will need some more AHL time next season after missing this much time again, he would first have to clear waivers to make it back to the minors. The Winnipeg Jets have activated veteran defenseman Tobias Enstrom off of injured reserve. The 33-year-old went down with a lower-body injury back on Nov. 18 and was deemed out for eight weeks. Slightly ahead of schedule, the defensive-minded Enstrom should improve the defensive play of Winnipeg, especially since they also just got back defenseman Dustin Byfuglien five days ago. The Colorado Avalanche announced they have made a three moves this morning, as defenseman Andrei Mironov and winger A.J. Greer and goaltender Andrew Hammond have all been assigned to the San Antonio Rampage. It’s likely that all three are being sent down to get regular playing time while the Avalanche begin their five-day bye week. The Avalanche don’t play again until next Saturday. After sending this group down one day ago, the Columbus Blue Jackets recalled center Zac Dalpe, defenseman Dean Kukan and goaltender Joonas Korpisalo, while returning goaltender Matiss Kivlenieks to the Cleveland Monsters. All were sent down to get in some playing time in the AHL in Cleveland’s 4-3 shootout loss to Rockford. Dalpe scored a goal, Kukan added an assist and Korpisalo stopped 37 shots on goal. The Detroit Red Wings announced they have recalled goaltender Jared Coreau from the AHL’s Grand Rapids Griffins. He will serve as the emergency backup for Petr Mrazek after it was reported Saturday that starter Jimmy Howard will sit out today’s game with a lower-body injury. Coreau played 14 games for the Red Wings last year, but hasn’t had as good of a season in Grand Rapids as he did a year ago. The 26-year-old netminder has a 2.77 GAA in 25 games so far this year with the Griffins. It will likely be a one-game stint for Coreau as the Red Wings go on a bye week and won’t play again until next Saturday. The Vancouver Canucks announced that they have reassigned winger Reid Boucher to the Utica Comets today. Boucher has been with the team since Dec. 13, but has appeared in just three games with the team. He has been a healthy scratch in five of the team’s past six games. The 24-year-old returns to Utica where he has 13 goals and 25 points this year in 25 games. After sending Marcus Sorensen down Friday night, the San Jose Sharks have recalled the young forward back to the team, according to CapFriendly. Sorensen has three goals in 13 games with the Sharks. Defenseman Dylan DeMelo was placed on IR to make room for Sorenson on the roster. The Los Angeles Kings have sent Jonny Brodzinski and Kevin Gravel to the minor leagues after losing yesterday to the Predators. The Kings are headed into their bye week, and won’t play again until next Saturday night. Following their game this afternoon, the Philadelphia Flyers announced that they have returned winger Tyrell Goulbourne to the Lehigh Valley Phantoms. He played in two games while on recall, averaging 5:34 per game. The Flyers are also heading into their bye week and could potentially bring Goulbourne back up next weekend. The New York Islanders also made several roster moves following their matinee against the Devils. Forwards Anthony Beauvillier and Tanner Fritz as well as defenseman Sebastian Aho have all been sent down to Bridgeport. There is a good chance some of them will be recalled following the bye week. The 2018 portion of the season is underway, and with it teams can try to turn the page on whatever problems they faced last year. In places like Edmonton and Ottawa, perhaps the new year will bring success. As always, we’ll keep an eye on the minor transactions around the league and report them right here. Zac Dalpe has been recalled by the Columbus Blue Jackets on emergency conditions. With Sonny Milano and Jordan Schroeder already up on emergency loans, the Blue Jackets find themselves facing injuries all throughout their lineup. If Dalpe’s recall is due to another long-term injury, Columbus will have to decide whether they need to look outside the organization for help up front. After three straight losses in which they allowed 15 goals, their lead on several Metropolitan teams is starting to disappear. Though he was just recently sent down, the Pittsburgh Penguins have recalled Dominik Simon from the minor leagues. To make room, the club has re-assigned Casey DeSmith, Andrey Pedan and Garrett Wilson. That could mean good news on the injury front, but we’ll likely have to wait until tomorrow’s morning skate to confirm any returns. The Florida Panthers have recalled Maxim Mamin from the minor leagues, giving the 22-year old forward a promotion for his solid play in the AHL this year. Mamin has 15 points in 23 games as a rookie for Springfield, after coming over from the KHL this season. The New York Islanders have sent both Anthony Beauvillier and Steve Bernier to the minor leagues, while recalling Tanner Fritz from the Bridgeport Sound Tigers. Fritz has never played in an NHL game, but is having quite the season with 35 points in 29 AHL games. Peter Cehlarik has been sent to the AHL now that he’s healthy and ready to play again, as the Boston Bruins don’t want to mix things up. The team is on a long hot streak and seem to have found a good recipe up front. Cehlarik, who has played in just five games for the Bruins this season, will head back to the minor leagues where he’s been extremely effective since coming over from Sweden. The Colorado Avalanche have called up A.J. Greer from the AHL’s San Antonio Rampage. With Sven Andrighetto day-to-day with a minor injury, Greer provides another option if he is unable to go. Greer, the Avs’ 2015 second-rounder, has just one point in six games with Colorado in 2017-18, but has ten in sixteen with San Antonio, on pace to set a new career-high in points in his second pro season. It may only be a matter of time before the power forward is a regular in Denver, with this promotion his newest opportunity to make his case. The Colorado Avalanche have made several transactions ahead of their Tuesday night game against the Dallas Stars. The team has placed Tyson Jost and J.T. Compher on injured reserve, while recalling A.J. Greer and Gabriel Bourque from the AHL. Jost and Compher are out for at least a few weeks, putting a bad taste on what has been a fairly successful start to the season. They’ll turn to the 20-year old Greer, who made his NHL debut last season and Bourque who found himself playing the majority of games in the AHL last season for the first time in several years. The 27-year old Bourque was once a full-time player in the Nashville Predators’ lineup, but has just 28 NHL games over the past two seasons. The Avalanche are 4-4 but were on the receiving end of a bad call by review officials on Thursday night, leading to a loss at the hands of the St. Louis Blues. While the correct call wouldn’t have guaranteed them a victory, it certainly didn’t help when Mikko Rantanen’s tying goal was pulled off the board. 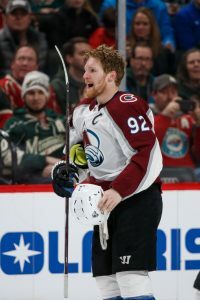 Colorado was expected to be one of the worst teams in the league again this year after a historically-bad season in 2016-17, but are riding some youth and a re-energized Matt Duchene to a respectable record. If Greer can find some of the jump that made him a coveted prospect in the 2015 draft—he was selected 39th overall—perhaps he can show he belongs to stay in the NHL long-term. The Colorado Avalanche were dealt an injury blow today when the team announced to reporters that A.J. Greer suffered a concussion and will be out indefinitely. Adrian Dater of BSN Denver had noticed Greer wasn’t at practice, and filled us in afterwards with the news. It’s not Greer’s first injury this training camp, as he’d previously dealt with a hand injury and lacerated lip. While there is no timetable as of yet, it’s a tough way for Greer to start what was expected to be a big season for him. The 20-year old was penciled into the lineup after impressing at the minor league level and in a short call-up last year, and has all the talent to contribute right away. His size and nose for the net allowed him to score 15 goals last year as an AHL rookie, after leaving Boston University early the year prior. 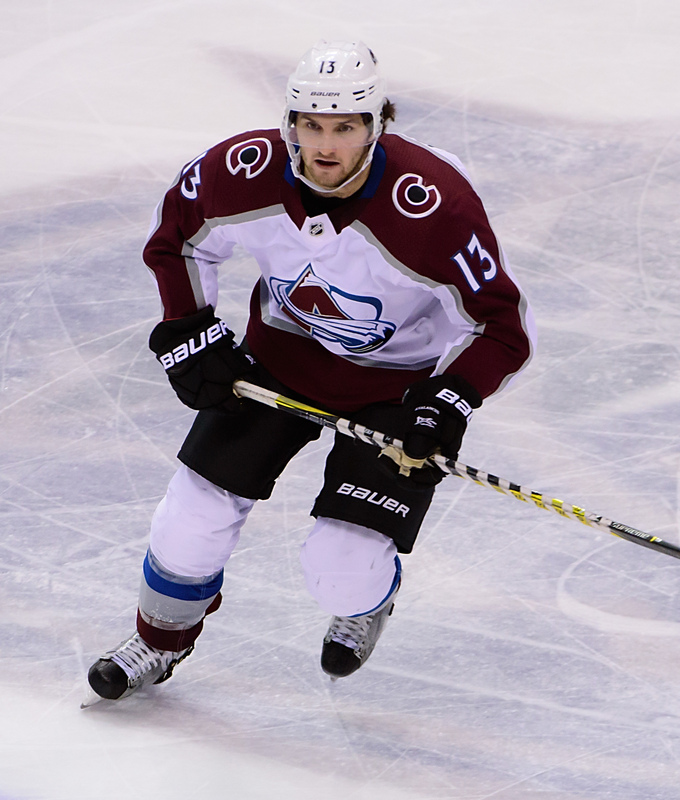 The Avalanche aren’t expected to compete for the Stanley Cup this year, but players like Greer, J.T. Compher and Mikko Rantanen have things headed in the right direction. The youth of the team up front is impressive, and they could easily climb out of the very bottom of the standings should someone break out. We’ll keep an eye on whether Greer is able to bounce back from this concussion quickly, or whether it lingers and holds him out of the lineup long-term.